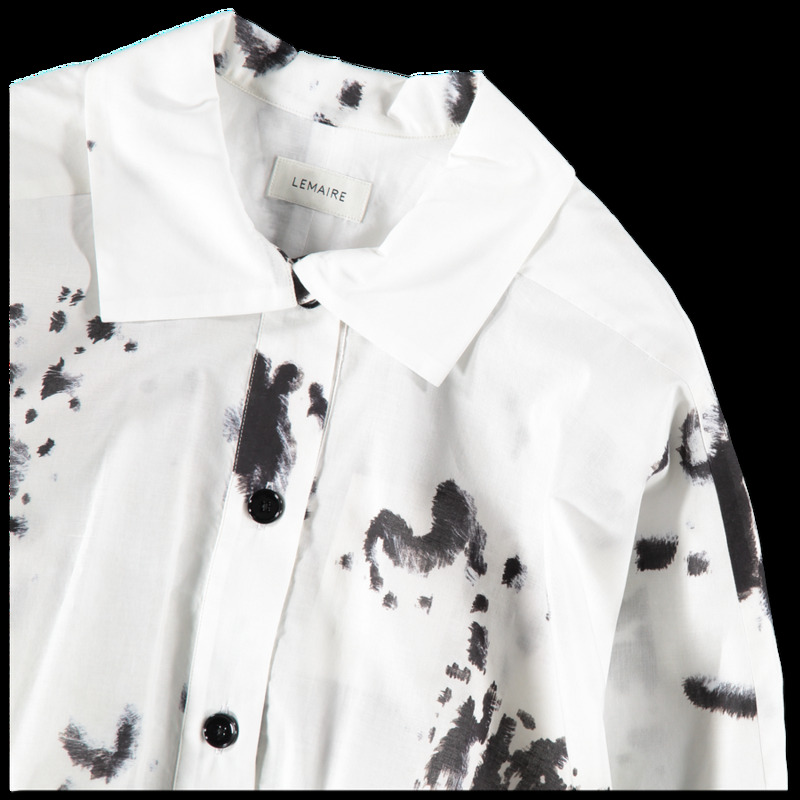 Patterned Shirt Dress from Lemaire. 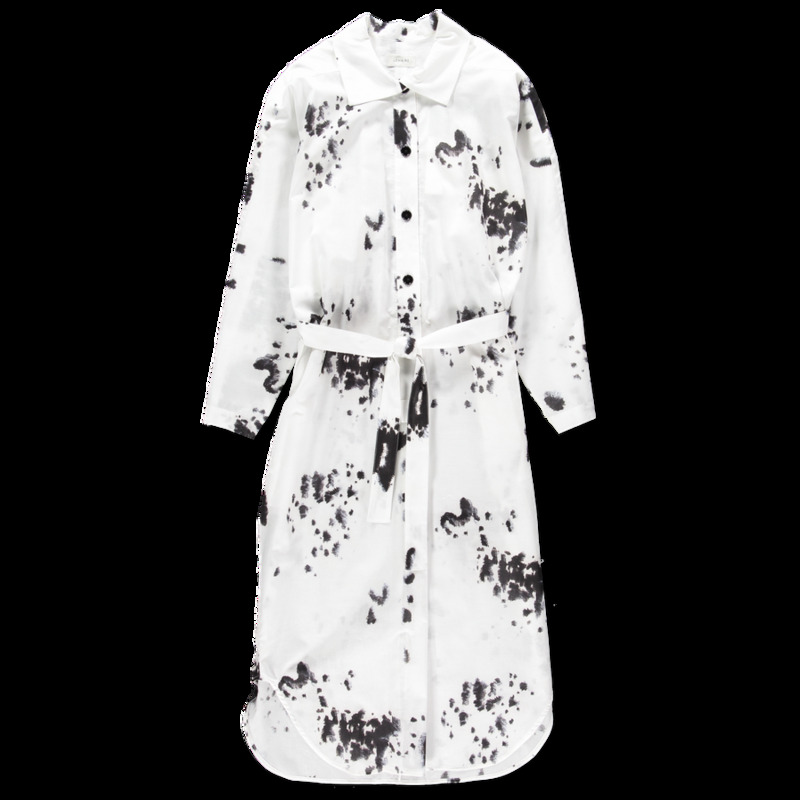 This oversized shirt dress is made from lightly sheer cotton voile printed with an animal skin motif based on a watercolour. 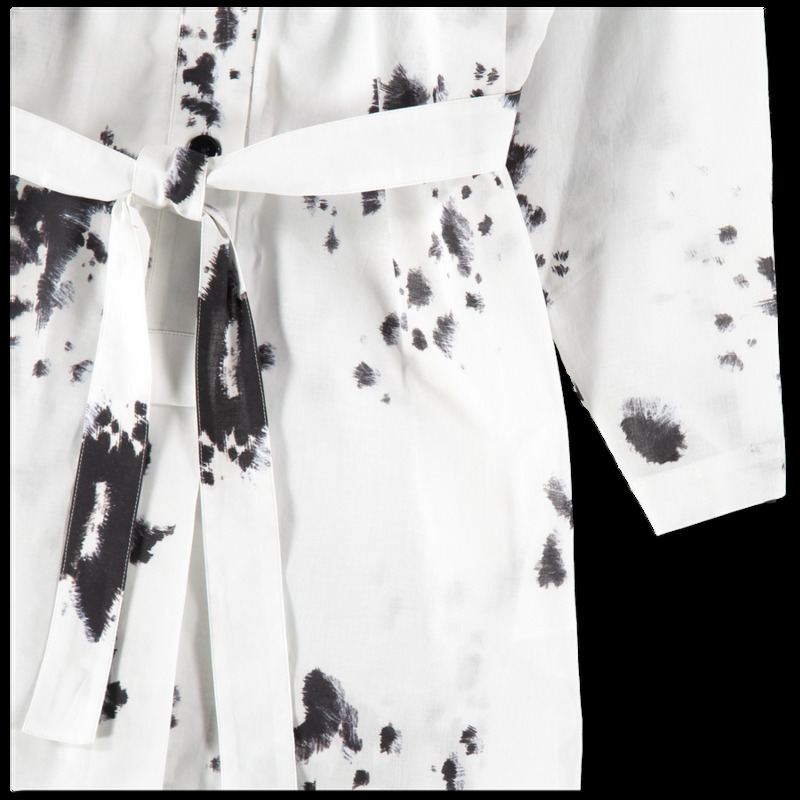 It features twin stitching, a long pleat on the back, a rounded liquette-like hemline and kimono sleeves. Side slit pockets. The collar can be worn upright and the can be gathered around the waist with a detachable belt in the same fabric. Midi Length.